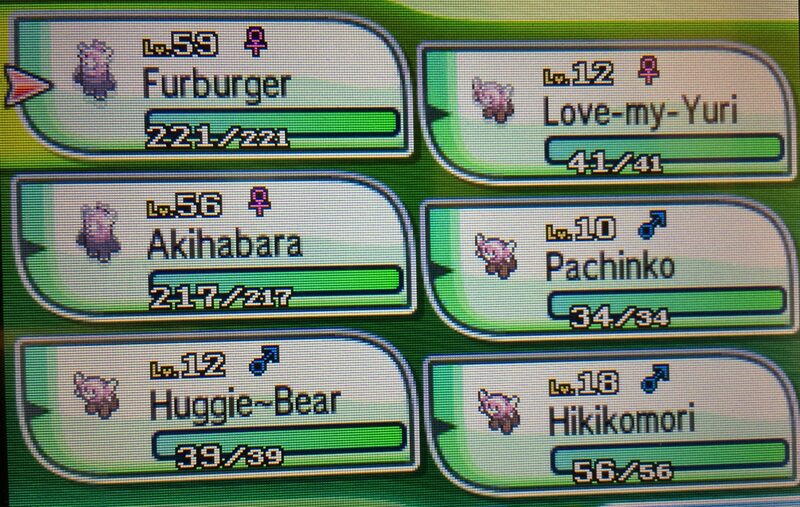 Today on “Pokémon Nicknames”, I consider Stufful and Bewear. (Denny knocks Sapporo beer can over, but picks it up quickly with little spillage): Oops … sorry … I’m a klutz, and sometimes have a hard time holding onto items. No I’m not drunk … Oh .. right (Denny in stilted falsetto): Alola … er …ALOLA COUSINS! Today I will suggest nicknames for two cute, cuddly – but DANGEROUS Pokémon. On the Bulbapedia web site it says that Stufful (in Japanese: ヌイコグマ “Nuikoguma”) is a Normal + Fighting dual-type Pokémon. 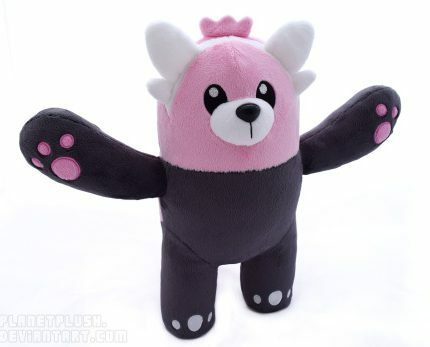 Stufful is the “Flailing Pokémon” supposedly because it would flail around its cute stuffed-animal-like arms. Many Pokémon fans like to buy plush dolls of their favorite Pokémon. Maybe it is time for a Pokémon that is already a stuffed animal! Stufful even has a tag! 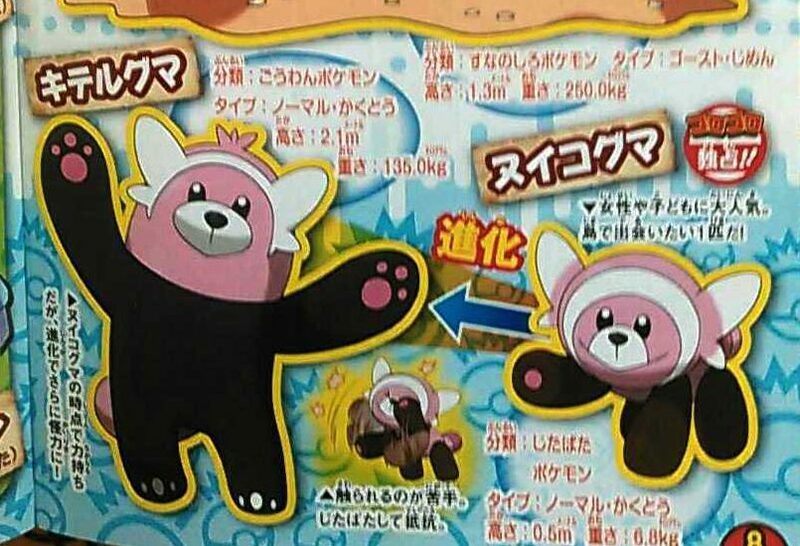 Stufful evolves into Bewear (in Japanese: キテルグマ “Kiteruguma”) at level 27, where it remains a Normal + Fighting dual-type. 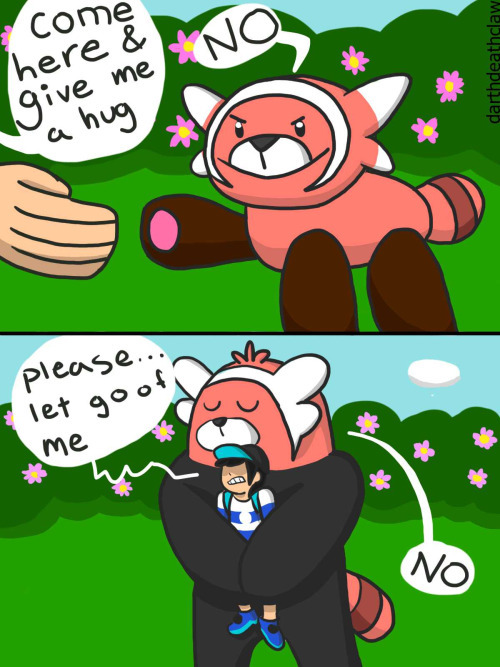 Beware is the “Strong Arm” Pokémon. Bulbapedia says: “While Bewear may appear friendly, it is actually a very dangerous Pokémon. It must never be approached carelessly, even if it is merely swinging its arms around in a friendly fashion. It shows affection with a fond embrace, but its hugs have incredible force.” The story goes that many trainers have been severely injured, and some were even killed by Beware’s loving hugs. Stufful is the perfect Pokémon for those of us who love Japanese Popular Culture! Its ears even look like those “headband ears” which are so popular with cosplayers, maid café goers, Japanese schoolgirls and/or the otaku of the Akihabara district of Tokyo. Cat (neko) ears are probably the most common headband ears, but mouse, fox, bear or other fuzzy animal ears are also common. Her cosplay ears are the biggest giveaway that she would love to meet and date a fellow nerd like you! You should use Tokyo Pop Culture type names for the Pokémon. Names like “Akihabara”, “Shibuya”, or “Harajuku” would be appropriate. I also named one of these bears “Otaku”. “Yuri” or “Yoai” would also be fun, if you enjoy those genres of anime and/or manga. Stufful is a plush doll, so maybe you could use “Doll Parts” after the song by the 1990s alt-rock band Hole (linked here). 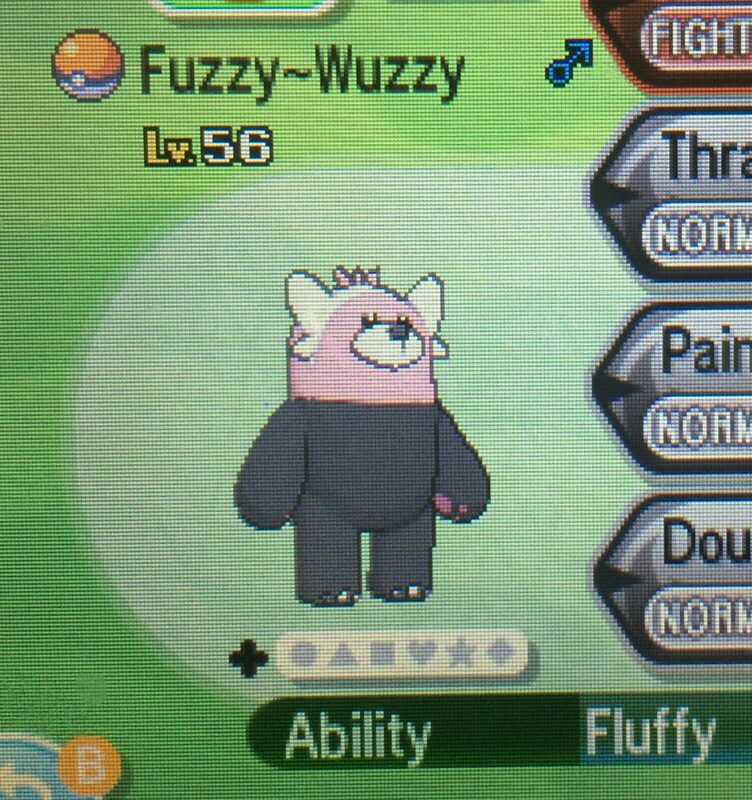 Cutesy names like “I Wuv You” , “Cuddles” or “Fuzzy Wuzzy” should also work when you bear evolves. “Huggie Bear” is based on the archtypical and quintesential “pimp” character from the 1970s TV police series “Starsky and Hutch“. A good name would be “Gyu” or “Gyu Gyu Gyu” which is loosely translated as “hugs” or “squeezes”. It is one of those Japanese words which do not translate directly into English. When you give someone a hug there is that wonderful moment, when the hug “becomes a hug” and the mutual feeling of love is exchanged — Gyu! 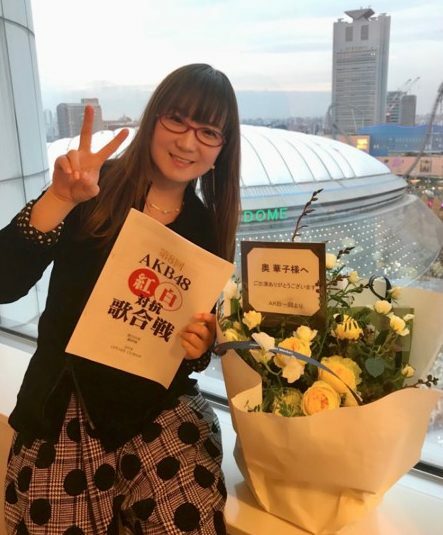 Another Japnese pop culture name might be “Moe” which loosely describes affectionate aspects of otaku culture. 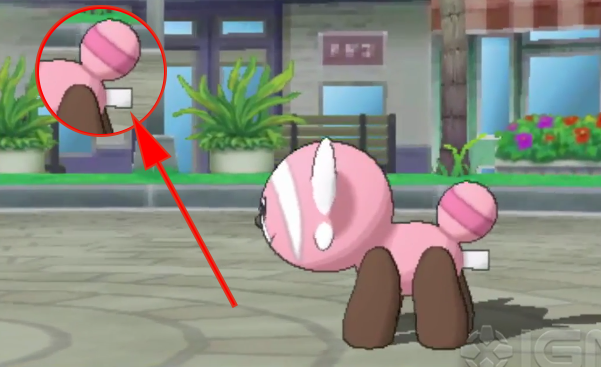 The Pokémon pink color is off course very “kawaii” but the bright pink is juxtaposed with dark brown portions of its body. This combination put me off at first, but I understand it is popular, and I have learned to love it. 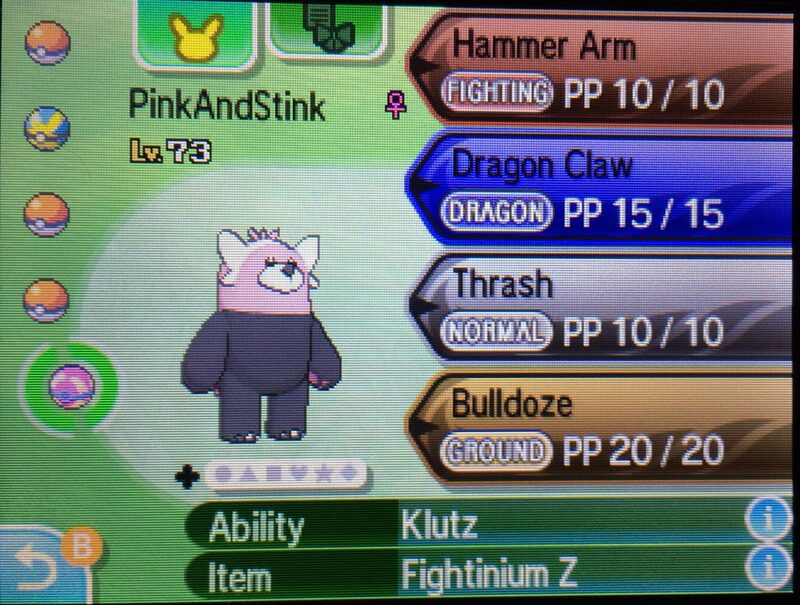 This color juxtaposition led me to name one of my party Pokémon “PinkAndStink”. (Denny turns to drinking buddies): You know guys, “the pink” is about the most wonderful thing that there is in this existence. It also is located in very close proximity to “the stink”. (Gulps) They are both delightful in their own ways … (Sapporo can drops again, but is quickly put upright) … they both have their own unique charms. You may have directed yourself to the pink. You probably spend most of your time there, and the points north, but don’t tell me you have not also explored the stink. There is also that wonderful, sensitive border area, right in between the pink and the stink. You can tell a lot about a lady by how well she manages that marchland … You don’t have to be a conquering hero, but it is a great way to bond with her. You might even end up surprising yourself. Oh … right … Pokémon names … (Denny raises hand, orders another Sapporo). What is the name for your stuffed bear? Please comment! Pika Pika!! 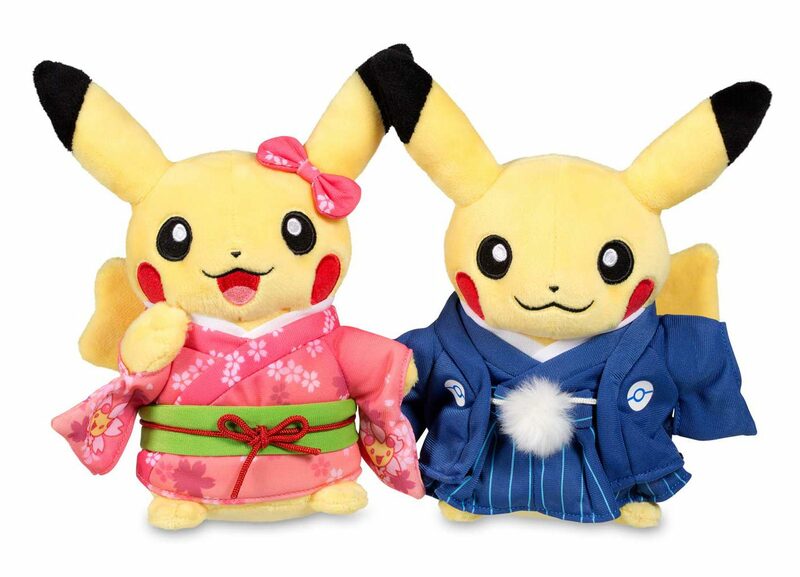 Pikachu in kimono! You can purchase these 8 inch plush dolls at the PokEmon Center shop linked here. I don’t work for the company — I just think that they are cute. Click any image to see the full size details. I would not mind having a life size copy of the “men’s kimono” with that PokEball symbol! Too bad that these are only available in eight-inch size … even though that is “standard” on the size chart. “What I got for Christmas” Part XXVII: LEGO Ninjago figures! What I got for Christmas, Part 27: Ninjago figures! Kai … the Red Ninja. These new BLACK uniforms are a little more “ninja” like. Otherwise, why would a sneaky ninja wear a bright red outfit? 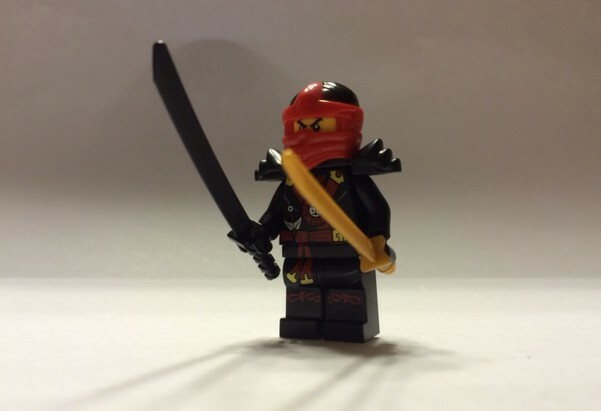 These are the black and color “Possession” uniforms from the last Ninjago cartoon story-arc and LEGO play sets. Don’t fall for cheap Chinese knock-offs. Cheap Chinese knock-offs might be OK for handbags, but don’t try pawning fake LEGO-figures off on Master Wu! 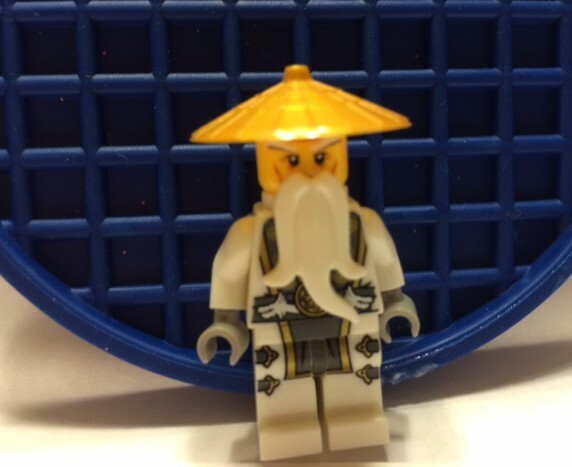 Oh, wait … isn’t the Ninjago leader Chinese? Now “Ninjas” are Japanese, but their master — Sensei Wu is Chinese?… or maybe even Vietnamese? … Shoot, he might even be Thai, I’m not really sure. Does he practice Confucianism or Zen Buddhism? Is he both Chinese/Japanese … is there really any difference? I am not enough of an expert on flute music to be able to tell the difference. It does not matter if you are Scottish-American or Irish-American, because it is “all the same thing.” Aye, laddie — eat your Lucky Charms. Ya see … it is not so easy, is it? Now just enjoy playing with your LEGOs. It is fun to document your play battles on film. Now if only I had the patience to create a “stop animation” video. Sometimes I buy the whole playset just to get the one figure. Starlight: Only 352 shopping days until next Christmas!